In my house, cotton candy is taken very seriously. How seriously? Well, when my husband won his Olympic gold medal in 2012 the first photo he tweeted was of his Olympic gold medal... and a bag of cotton candy. I've been called a health hippie, and I totally embrace it. I'm constantly looking for ways to enjoy our favorite treats in a healthier way. So you can imagine how excited I was when I discovered GOURMET, ORGANIC COTTON CANDY! 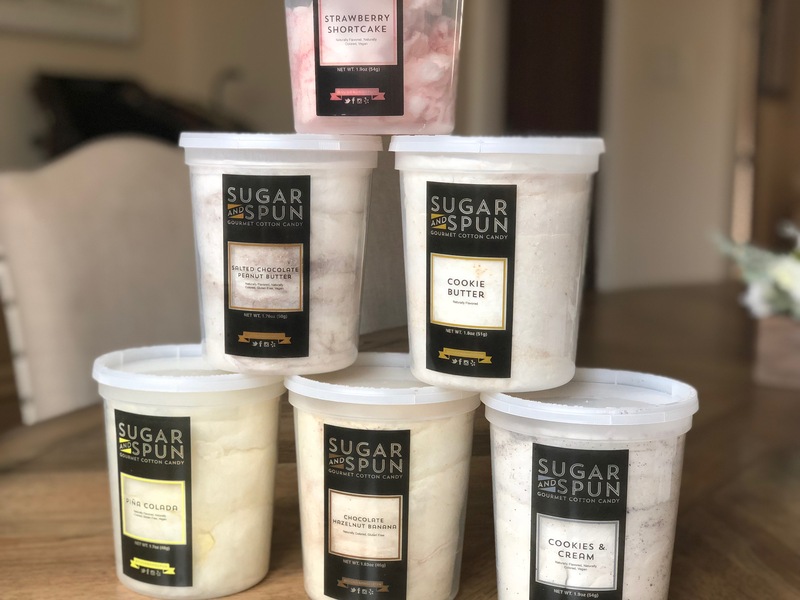 Sugar and Spun uses ONLY organic sugar, fruit and other natural ingredients in their cotton candy. And if plain ol' pink and blue flavors don't really get you excited -- they've got Strawberry Shortcake (my favorite), Piña Colada, Cookies & Cream, Peanut Butter & Jelly, Matcha Green Tea Latte, Cookie Butter, and a bunch more. Go visit my Instagram for a tasty giveaway!